Centuries ago, when the general population was illiterate, eyeglasses were exclusively used by monks. 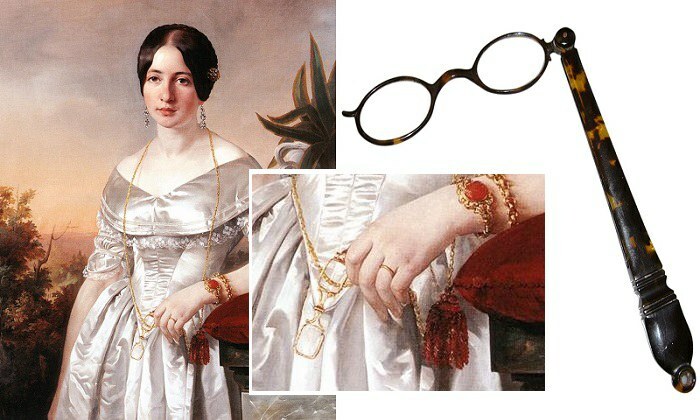 And it wasn’t until the 18th century that eyeglasses as we know them today were introduced. 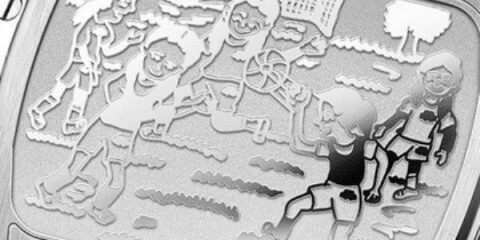 A lot has changed since then: fashion, technology, and even cultural attitudes about eyewear. It wasn’t long ago that glasses were so strongly associated with old age that people avoided being seen in them whenever possible. Women in particular were discouraged from wearing eyeglasses until well into the 20th century. Today, not only has eyeglasses technology improved, but society has done a complete 180 in how we think about them. Glasses are now seen as a fashionable accessory, and many people opt to wear glasses when they don’t even need their vision corrected. As far as styles go, it’s easy for us to look back at old photos and wonder what the heck they (or sometimes we) were thinking. But a lot of those old styles are making a comeback in a big way. 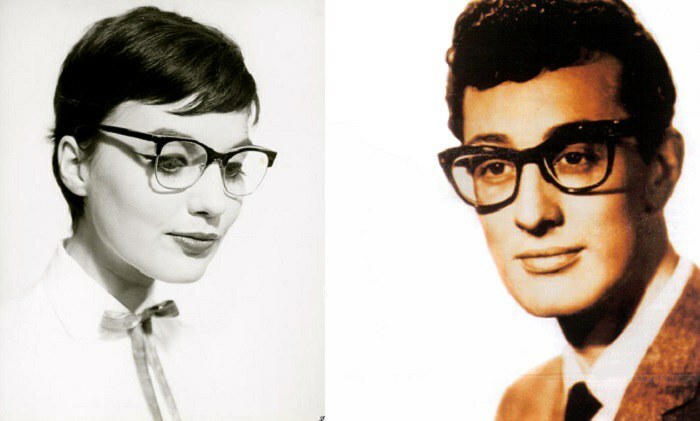 Let’s take a closer look at how eyewear styles have changed over the past 300 years. Glasses that wrapped around the temples were a new invention in the 18th century, but not everyone was a fan. 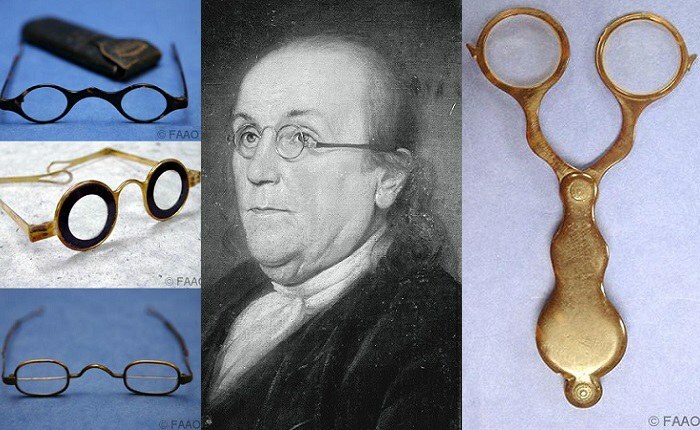 George Washington reportedly preferred using handheld scissor spectacles (right). Because it was common for men to wear wigs in these days, special glasses were invented that would stick into the wig (top left). Ben Franklin (center) is, of course, credited with inventing bifocals (bottom left). In the 19th century, it still wasn’t seen as becoming of a lady to wear glasses. However, the lornette was considered an acceptable alternative, and was used by both men and women. 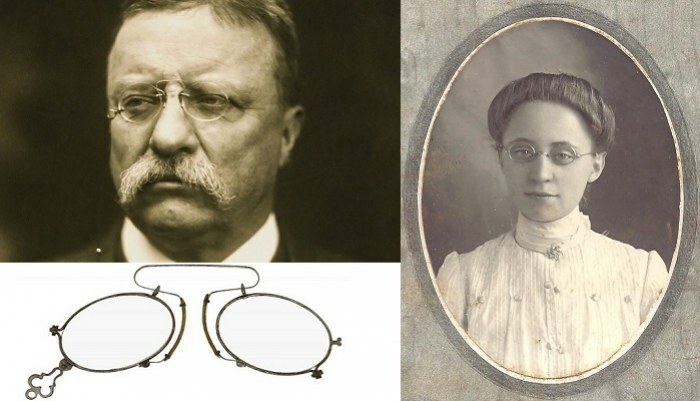 Glasses supported by the ears were widely used at the turn of the 20th century, with a simple wire frame design. However, some people preferred an alternative style called pince nez, French for “pinching the nose”. President Teddy Roosevelt wore these often and helped popularize the style in the USA. The simple round style remained popular through the 1920s. 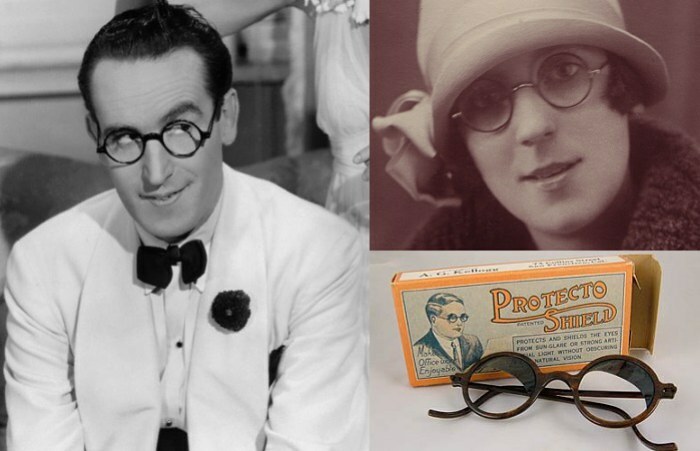 Celebrities like Harold Lloyd popularized a thicker frame, which continued to be stylish into the next decade. Lenses that could absorb UV rays were invented in 1913 and began to be widely marketed in the 1920s. 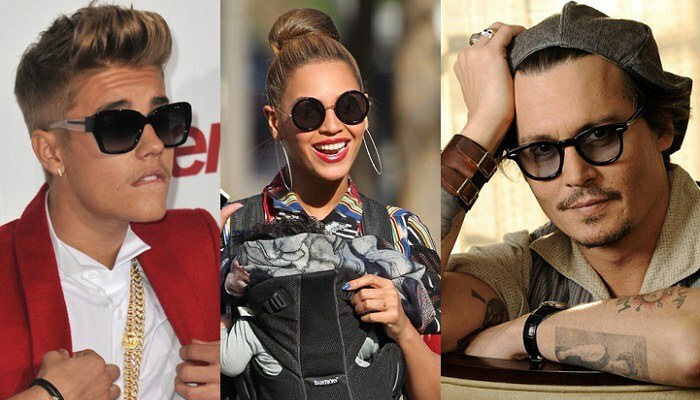 Sunglasses came into fashion in this decade. And although the round style persisted, new materials were being used in eyewear, including 12k gold plating and tortoise shell. Lens shape began to change during WWII, with the browline style becoming very popular. 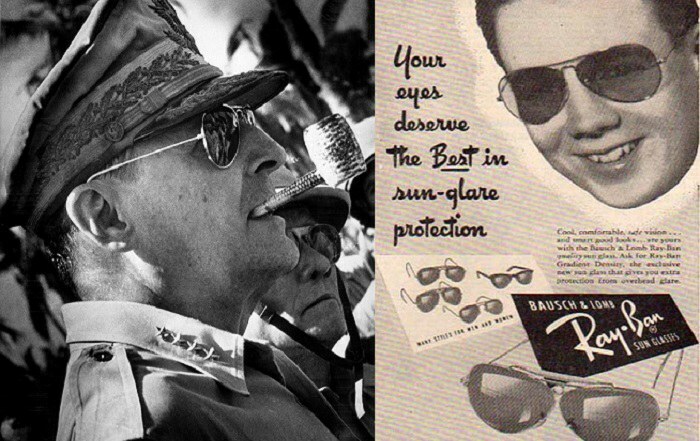 Meanwhile, Ray-Ban had just invented green polarized lenses for Air Force pilots in the previous decade. The famous aviator sunglasses were first marketed to the public in 1937and used in the war by fighter pilots. 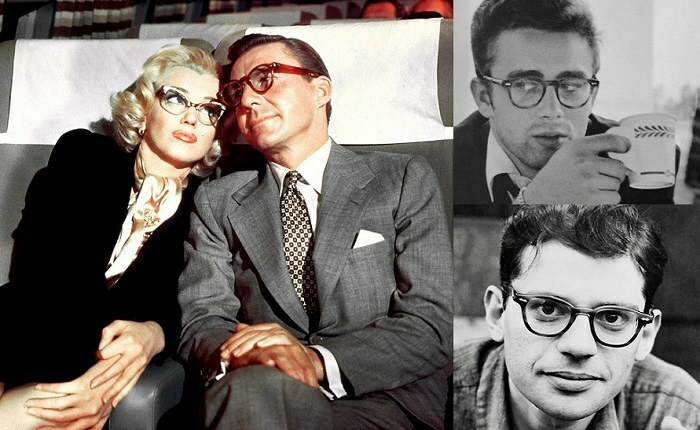 Movie stars and pop culture played a major role in eyewear fashion in the 50s. Marilyn Monroe was stunning in cat-eye glasses, while counterculture figures like the Beat movement opted for a thick, dark frame. 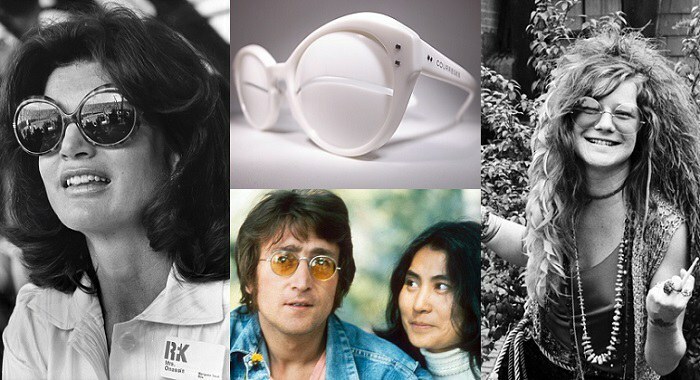 Glasses styles in the 1960s were dominated by two fashion movements: the geometric, bordering on futuristic “mod” style, and the hippie “flower children”. 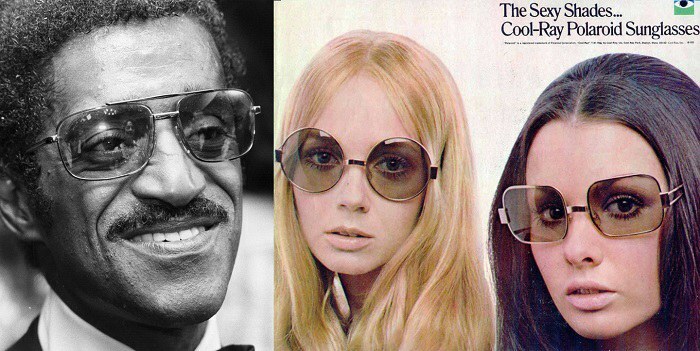 Large square lenses made their fashion debut in the 70s after decades of round eyeglasses dominating the scene. Fashion in the 1980s was wild, and that is reflected in the style of glasses. 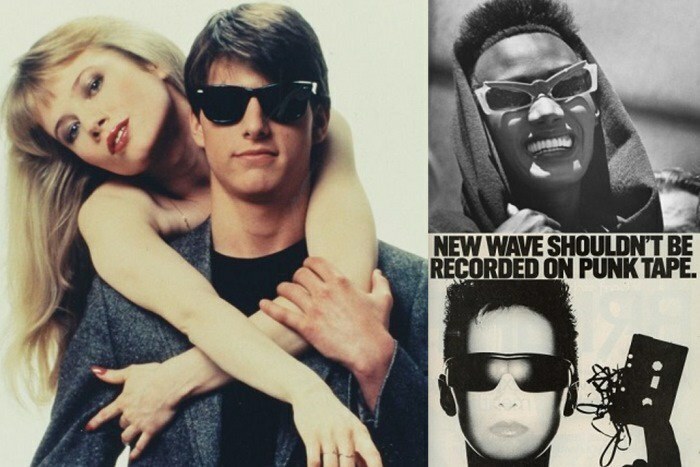 Funky geometric shapes a la Grace Jones, or futuristic wraparound sunglasses from the New Wave movement were popular. 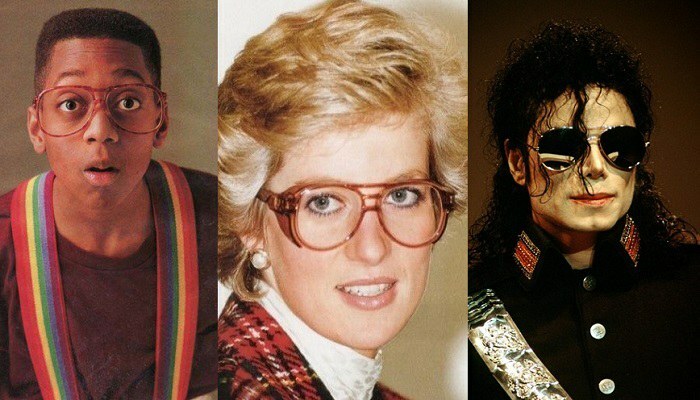 Compared to the 80s, eyewear in the 1990s was more subdued and serious. The aviator shaped frame was popular in regular glasses and sunglasses. Unlike the past, from the 2000s onward, there doesn’t seem to be just one or two styles that define the decade. Instead, we see an incredible variety of styles, shapes, colors and materials. 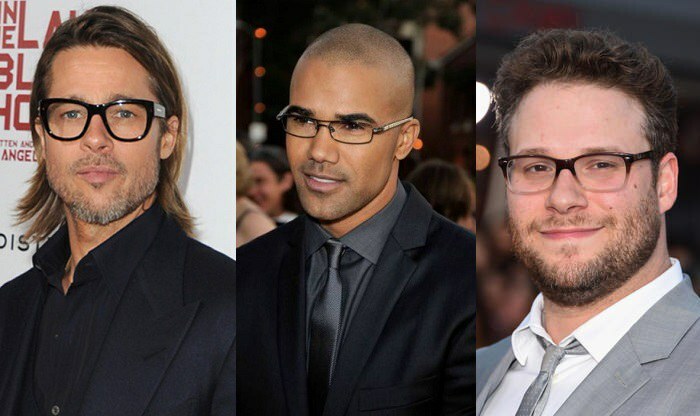 Glasses are accepted on women and men as an element of personal style. We’ve certainly come a long way from the days when nobody wanted to be seen in public wearing glasses.